I planted in mid-May, which is a bit early for Alaska. Luckily, it was a very warm May and the plants did well. This year I experimented with using cardboard as mulch. I had a lot of big cardboard boxes left over from installing cabinets, and decided to lay them over my cabbage, broccoli, and carrots. 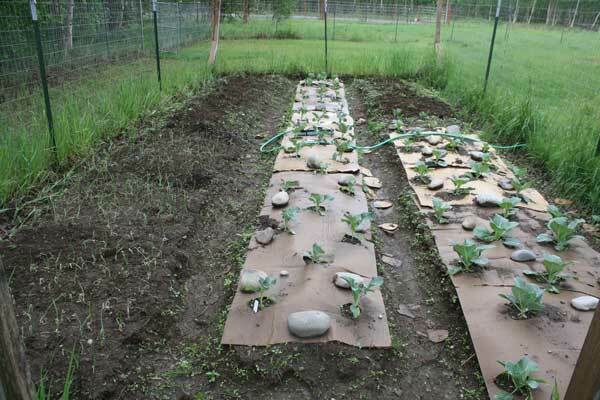 The cardboard has been working wonderfully on the cabbages and broccoli that are planted further apart. I simply used a utility knife to cut holes where I put in the transplants. 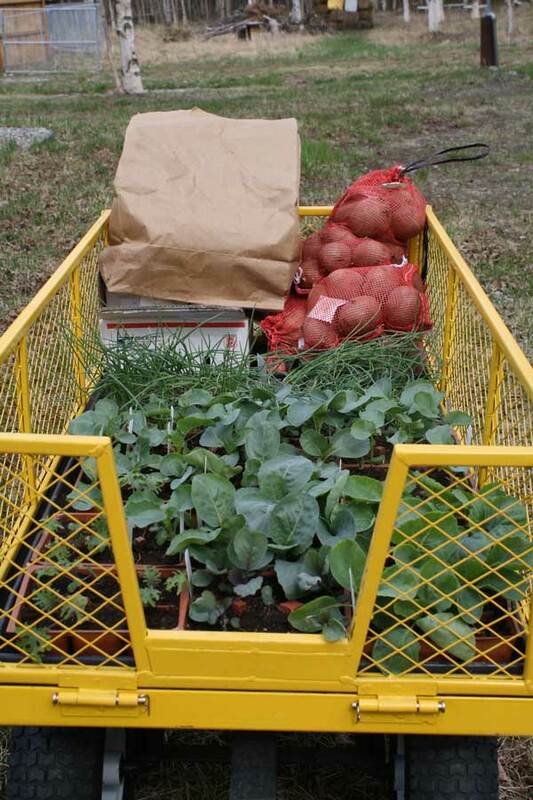 It has eliminated the need for weeding, and does a great job of conserving soil moisture. 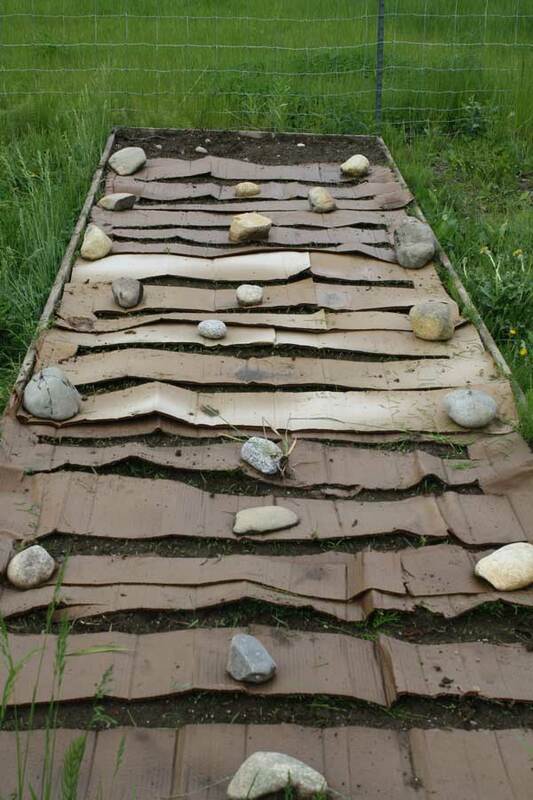 As you can see from the picture below, I had to use large rocks to hold the cardboard down. The cardboard didn’t work as well on the carrots. 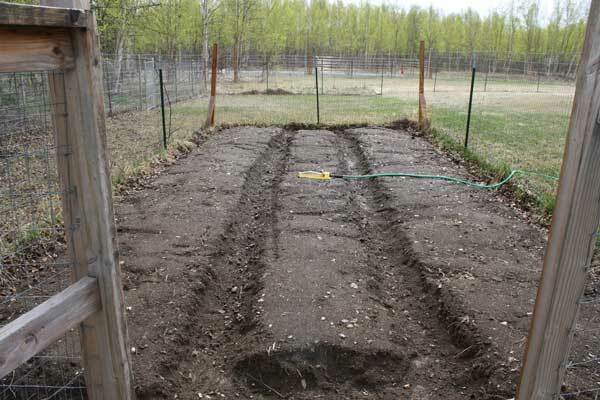 The rows are too close together, and it means that the weeds are able to sneak through one side or the other. More gardening updates to come!